Released in 1992, Xardion has a bizarre, avant-garde, clearly drug-influenced plot that makes the game a great watch. But the game also has characters who are so slow that they could beat snails in a slow-off, which makes actually playing the game cruel and unusual punishment. 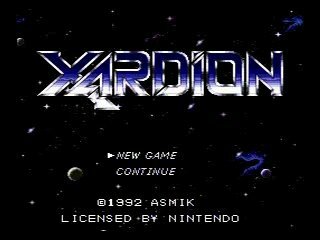 Yet Xardion transcends mere notions of gameplay. As the game progresses, it covers deep topics such as suicide, child therapy, and the role of women and nature in society. Incidentally, the developers behind Xardion would later go on to make a non-game for the PS1, appropriately titled LSD. Best time: 0:27:09 by Justin 'Zerst' Kvithyll on 2013-08-22.